Watch our mature stags roaming on our 4000 Acre game estate. 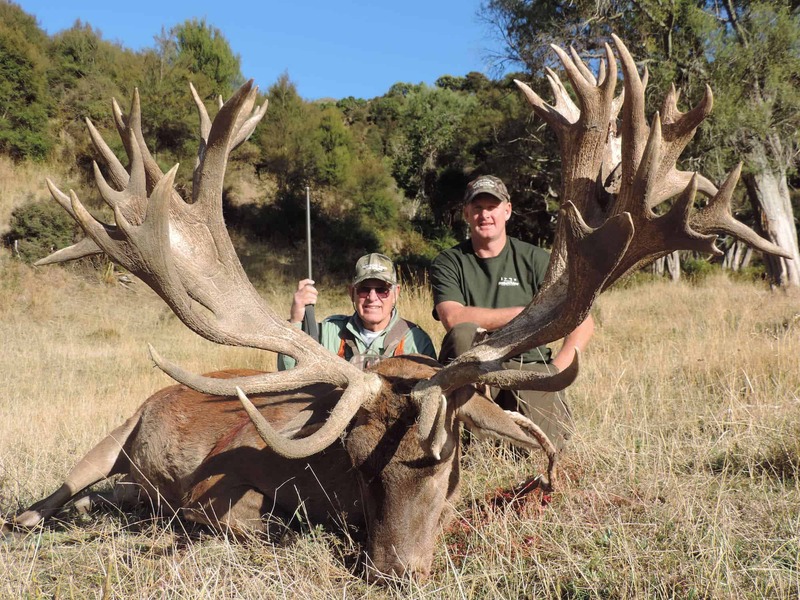 Red Stag Hunting in New Zealand with South Pacific Safaris is a great trophy hunting adventure and with constant top 10 world class Red Stags being harvested each year proves we are the New Zealand hunting outfitters to hunt with. Hunting on our own private ranch or the thousands of acres of free and wild area for Tahr and Chamois. 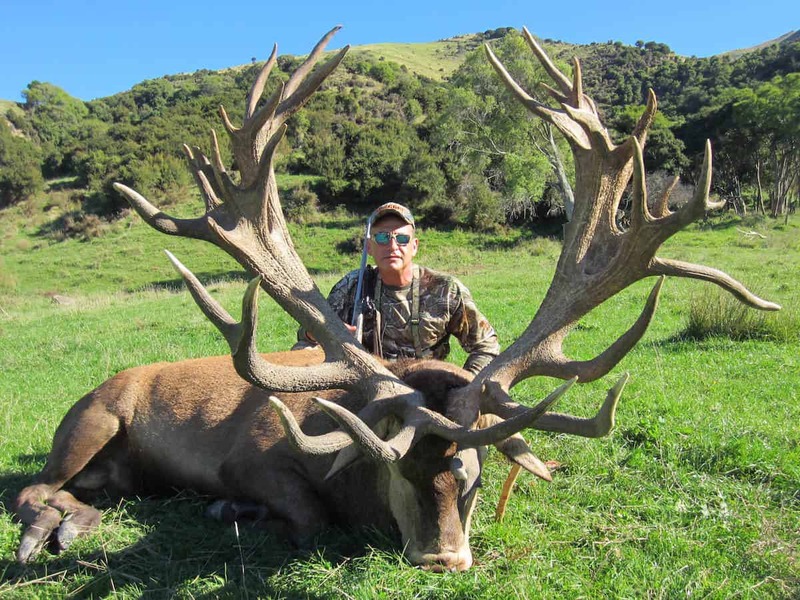 Let our team at South Pacific Safaris New Zealand make your hunt a trip of a lifetime to remember. Our exclusive lodge is located on our game Estate and boasts panoramic views of the valley, mountains and ocean to the East. Each luxury king size bedroom has its own heated marbled floor bathroom as well as a private lounge area to relax in. 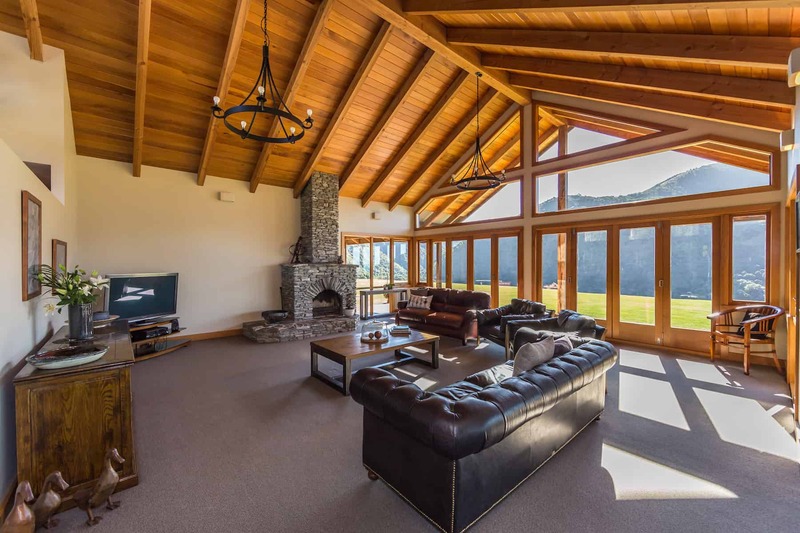 Whether you want to join your hunting partner on the hill, relax in our luxury hunting lodge or experience personalised tours including fishing, helicopter, bush walking, dolphin / whale watching or just relax at a day spa, the list has something for every interest. We are very family orientated and also welcome hunters to bring their family to enjoy and share their experience. What sets us apart is the personalised attention Louise (Mother of 4) offers to non-hunters. Each package is custom designed to our clients needs, for example extra nights, animals, guides & activities can all be added to our standard packages.